Would you try another book from Lene Kaaberbol and Agnette Friis and/or Katherine Kellgren? 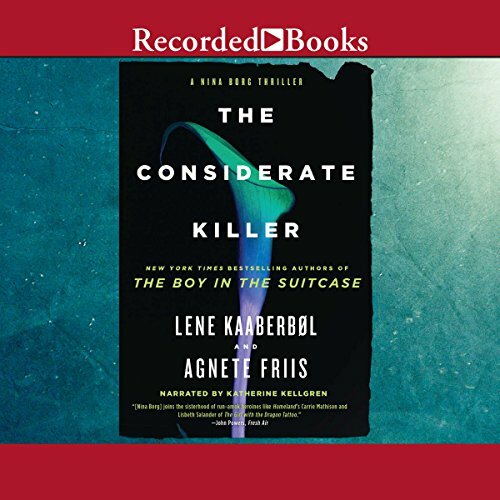 Has The Considerate Killer turned you off from other books in this genre? no. I like other Scandinavian authors. Who would you have cast as narrator instead of Katherine Kellgren? If you could play editor, what scene or scenes would you have cut from The Considerate Killer? Silly story made sillier by narrator's attempt at tough-guy Filipinos. A little more cultural references in the Phillipines and Denmark would have helped the interest level, esp. for Americans. This is a great suspenseful book. It was a good performance, but the narrator makes up odd accents. What was up with the Russian for Filipino accents? Please, just do no accent instead a completely confusing and mismatched one. Otherwise good. Good story.